Due to popularity of the chee cheong fun thread, and the ever so interested people in PJ/KL who wanted to try the sort-of-like-Taiping-taste chee cheong fun in Seapark (that I mentioned in the comment). 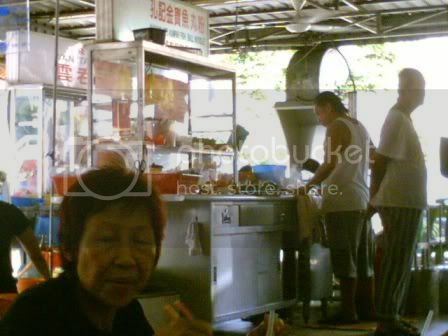 I managed to dig up the old pictures of when I ate there, though bad in quality as it is taken in haste and not for blog quality. But still, I’m sure those interested will go seek out the ‘real’ look and of course 'taste' themselves. First of all, I must warn that it is not totally the same as the one from Taiping, tastewise and also look, judging from the previous post look. But it is the sweet sauce type, with very good sauce too I might say, and it does taste with high similarity to the one in Taiping, less red visually, but still good eats (I’ve been a fan of Alton Brown lately) and of course, different from the one in PJ/KL. Here is the couple that sells the chee cheong fun, don’t miss them as their stall is just a long table, located at the back of the shop. I have a feeling they have been selling here for years! Of course, since I’m reviewing on this shop too, I might as well mention the Kampar fish ball noodle, which is also very good. It tastes just like the small-town-kind-of-food, if you know what I mean. Like in Taiping, the chicken broth is simple, not laden with MSG or spices, just nice and a little bland (my accustomed taste) to go with the homemade fish balls and noodles. When I come here for breakfast, all these is only available in the morning, if I’m not wrong as I have only been here twice and in the morning, it always makes me feel I’m back at home, with the simple home cooked style kind of food. Now I miss home! about chee cheong fun to my knowledge there's only three category of it. the usual 1, the "HK chee cheong fun" and the "yau hum chee cheong fun". usual 1 came with either kari sauce or the "tim jeong" the red sweet sauce. black sauce(dunno call wat in cantonese) will still be added in small amount. 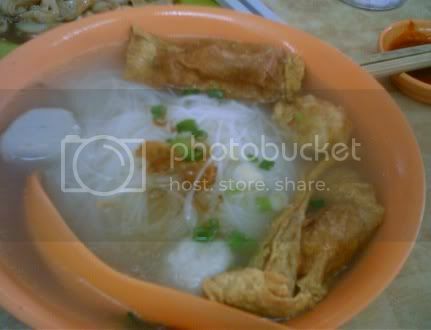 "HK chee cheong fun" is the typical type u mention found elsewhere. "yau ham chee cheong fun" is another type whether it's dry compared to HK chee cheong fun and the inside of it is replace with (i think is turnip) some would thought it bland but it's delicious when added with light soy sauce or the given chilies. Wow, that coffeeshop sure has lots of things - must try the Taiping style chee cheong fun. Thxs for the tip. boo, my pleasure! hope you would like it. 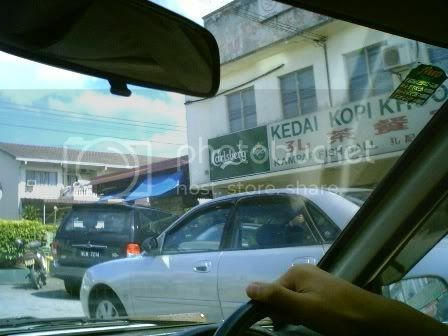 lol~ my hometown is actualy Kampar and well, the surrounding area is well known for its cheap delicious food. thanks rokh, this is helpful for me. 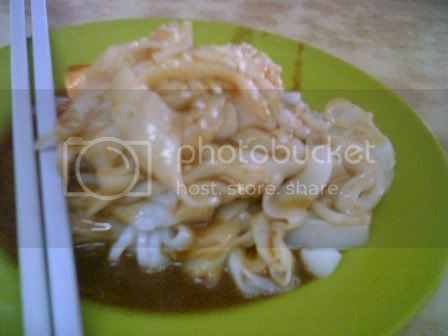 I must try out this taiping like chee cheong fung one day. Can't remember how I got to your blog, but I was thrilled to see a link to my blog on yours :)! 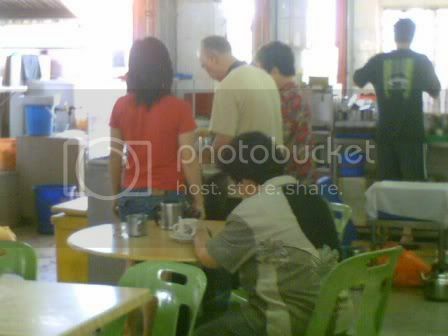 you've got a lovely blog going here and brings back memories of my trip to KL. My parents lived there for a few years and I visited them a couple of times. anyway. try the chee cheong fun in the circus ground. THat's nice!! !